Anna Ekpenyong monitors the nutrition of her family as well as the community. 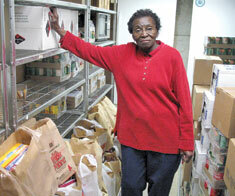 For 11 years, she has run the weekly food pantry at Twelfth Baptist Church in Roxbury. As Anna Ekpenyong tells the story, she was out shopping one day with a friend when she saw a dress that she liked. She tried it on, but her regular size didn’t fit. Her friend tried to be helpful and suggested trying on a larger size. At 80 years old, Ekpenyong has earned the right to do as she pleases. Fortunately for her, her choices on diet and food and fat have been right from the very start. She summered in South Carolina with her grandmother, who planted her own vegetables and raised chickens. Her grandfather built boats and, as a result, brought home a lot of fish. From an early age, Ekpenyong’s diet consisted of fresh fruits, vegetables and lots of fish. Don’t get Ronald Jackson started about the good old days. Back then he drove a truck and worked construction, and eating was more a function of time than quality. He made time for pancakes in the morning and ice cream at night, but in between was all sorts of fast foods. When shopping, read food labels to make sure you are buying foods that are low in trans and saturated fats and cholesterol, but high in fiber and other essential nutrients. Remember that the labels are based on one serving size. 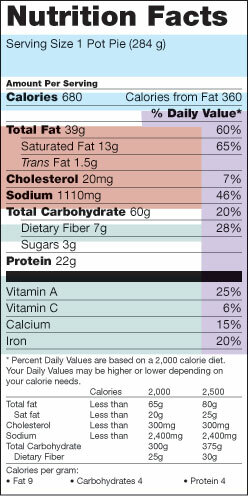 If you eat two servings, you double the calories and the nutrients.